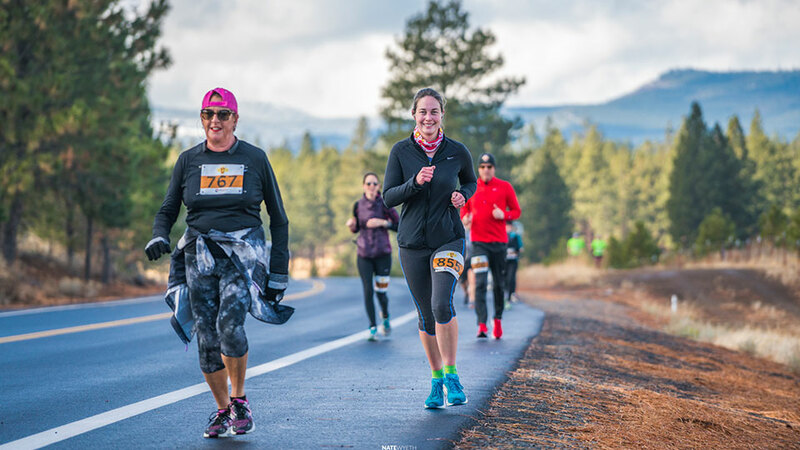 This breathtaking half marathon course is brand new to Central Oregon. Racers start on NW Crossing Road just north of Summit High School and head west into the new Tree Farm housing development. After a short section of gravel runners will get to experience what brand new asphalt feels like under foot as they follow the black ribbon of new roadways through this very scenic section of the course. Sweeping views of the Cascade Mountain Range allow you to see Mt. Hood, Mt. Jefferson, Three Fingered Jack, North, Middle, and South Sisters, and finally Mt. Bachelor. After the race, sample the region’s best beers at the Bend Ale Festival!